Essential Basic Endgames-Part1 85 Minutes It is Essential to know how to play and win your Endgames. 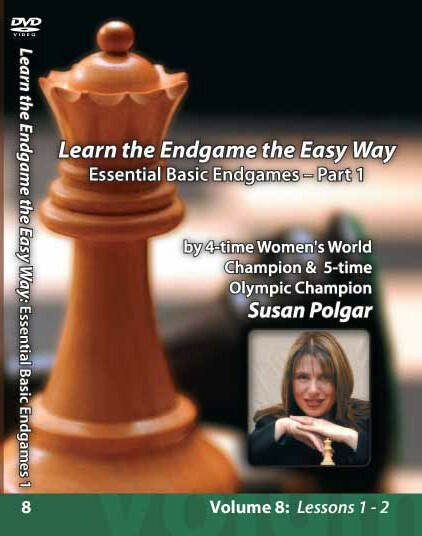 In fact the Endgames are more essential to learn than openings Chapter 1 On this Susan will cover all the most Important endgames for the novice player Chapter 2 Susan Covers all the Basic Pawn Endgames,Square rule,the Rook Pawn ,Opposition, Geometry,in chess,Two extra Pawns, the Pawn race,one side Queens first, King activity and lots more!! !